Should I use my insurance company’s preferred (DRP) auto body shop? Is the Direct Repair (DRP) auto body shop, a good decision for your car? Probably one of the most hotly debated subjects among the auto body repair industry involves Direct Repair Programs, also called DRP’s. Anytime you discuss a topic that involves money, small business owners, and large corporations who make the rules, tempers are going to flair and the DRP is without a doubt a polarizing topic. Step 1. Call your Car Insurance company and file a damage claim. Step 2. The Insurance company will approve your claim and sill suggest a shop or a couple of Auto Body shops that are on their preferred vendor list or direct Repair Program (DRP). Step 3. 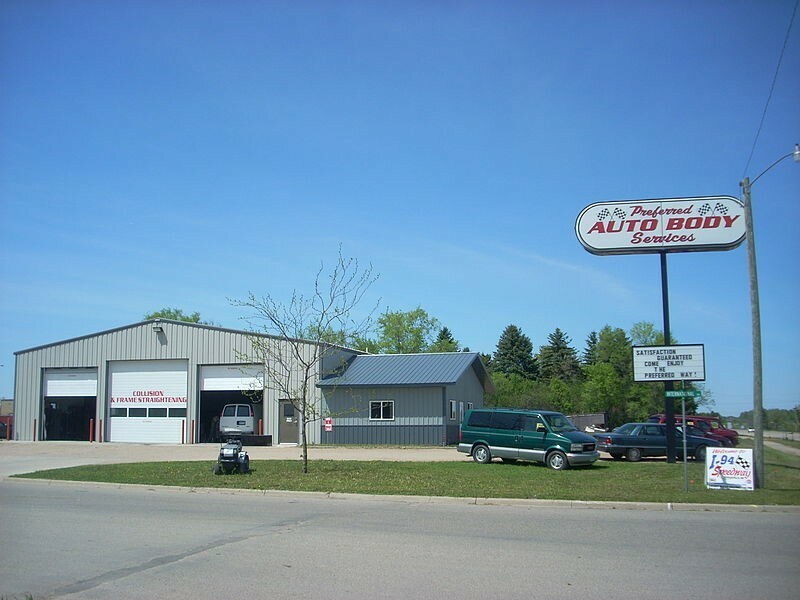 You shop around for an auto body shop and make your selection. Step 4. You check out these shops online and check their online reputation. Step 5. You get your car fixed. You can take your car anywhere you want to and have it repaired. The insurance company cannot force you to take your car anywhere to be repaired. To force you to use their body shop is called “steering” and is illegal in all 50 states. So the short answer is no, you do not need to use that auto body shop. If you were to go with the recommendation from your car insurance company, what’s in it for you? All businesses are trying to cut cost and boost profit, and the Direct Repair Program (DRP) your car insurance company has in place with the body shop down the street is designed to protect your investment and theirs. By lowering operating costs, the insurance companies are able to offer lower, more competitive premiums. Free storage- one of the things in the contract with the direct repairs shops is free storage for the cars they are working on. You may not even realize this, but this storage fee gets worked into the cost you pay for repairs. Free Towing- If the direct repair shop ends up towing the car that they later get contracted to work on, the chances of the insurance company ending up paying for the tow truck virtually disappear. Discounts on parts and labor- in some cases, keeping the costs to the insurance company down where in turn they are not required to pay out as much on their claims. Uniformity in estimating systems and procedures- Most insurance companies demand that a body shop use their preferred estimating and reporting system. Warranties on labor and Materials used- Most good DRP shops offer a lifetime guarantee on the paint and craftsmanship. These cost savings in the long run get passed on to you the consumer. And with that you get certain insurance company and a body shop backed guaranty. This is a win for the consumer. So the biggest benefit of all to using a DRP shop is peace of mind. But not all DRP shops are the same. You may not know this but body shops on DRP programs have some of the lowest labor rates in the automotive world. Mist dealers in the US are getting $75-$100 and hour for their labor rates. I’ve seen body shops with $37/hr labor rates to their insurance partners. Body shops are now also getting pushed to take a hard look at who they order their parts from, and what types of parts they get to use. In a perfect world, all cars would get repaired ONLY with factory parts built by the original car manufacturer or its own parts supplier. But this is not realistic because it is also very costly to you and costly to the insurance company who is paying for your repair. DRP program contracts almost always dictate to a body shop if and when they can use OEM, aftermarket, or recycled parts. The decision is taken out of the hands of the guy doing the repair. This is significant and worth noting as you make your decision. For all this cost cutting, the shop is promised a steady and heavy stream of cars to repair, the theory being that the volume will more than make up for the pricing discounts. Those auto body shops and opponents to DRP shops will tell you that Insurance companies do not know how to safely fix cars, yet they dictate to the DRP shop how to fix cars with only their bottom line in mind. In other words, they pick the cheapest way out of the repair, mandate the use of inferior parts and force the shop to cut corners on labor to make up for the lost revenue and the hell with your safety. But this is not exactly true. No auto body shop with a good reputation is going to sacrifice their profit over the safety of its customers. Shady shops will cut corners and compromise your safety, I have no doubt, but good auto body shops care about customer service and safety equally. You are after all their customers, and DRP’s will not keep a shop in business with a bad reputation or unsafe work. That is why it is very important to check out the auto body shops’s reputation before making your decision. Don’t just take the Insurance Company’s word for it, check the shop out yourself. Fortunately we make it easy for you to check auto body shop customer reviews online here at AutoBody-Review.com but simply inputting the shop name or the city here. So as a customer, the choice is yours. Would I take my car to a DRP shop? Yes I would, and I have in the past. If my car was severely damaged (and I have had those in the past as well) I would discuss with my shop and my insurance company what the repair plan is for my car, and what parts they plan on using, and what my options are. Brittany B. had this to say about Allen's Collision Repair, Inc.